If you want to stand up for Blue Lives Matter, comment on these recipes for baked Alaska and spread the word! 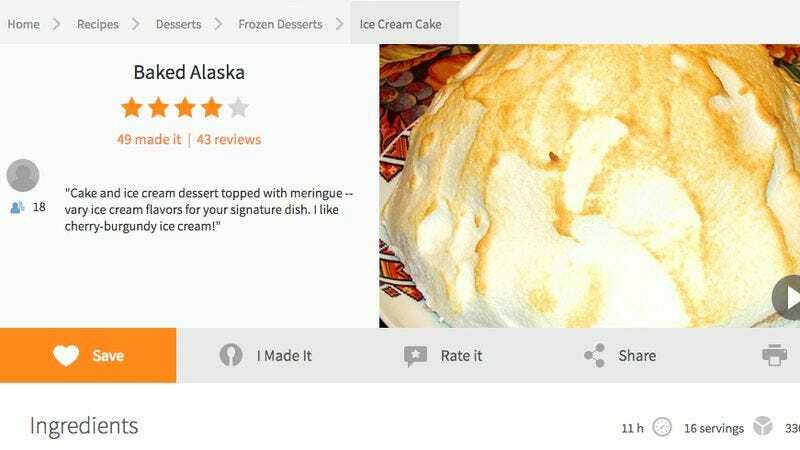 Baked Alaska is a dessert consisting of thin layers of ice cream topped with sweet, crisp meringue, but you have far more pressing issues to attend to. Use the slider to write #BlueLivesMatter in the comments section of this tempting recipe! Yes, this dessert is totally delicious and simple to make, but the Blue Lives Matter movement needs you now more than ever. Move your mouse across the screen to make sure your message is heard loud and clear. Without your continued support, #BlueLivesMatter could just be buried by all the other events in today’s news cycle. Without your continued support, how will the people who viewed “The Ultimate Baked Alaska Recipe” on YouTube ever hear about this cause? Think about it. Where has inaction ever gotten you? Isn’t anything you believe in worth fighting for? Use the slider and show the people of Bon Appétit magazine’s recipe portal what the movement’s really about. So, if you stand with the Blue Lives Matter movement, let the people of the internet, and specifically those who enjoy baked Alaska, know!